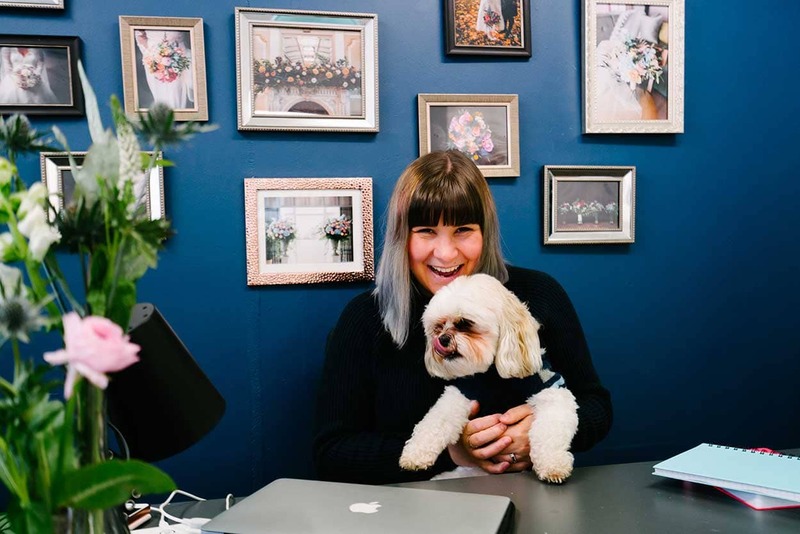 We got together with Emma from Betty Bluebell to talk about her business philosophy, advice for budding entrepreneurs and how she managed to create such a successful business in a short amount of time. 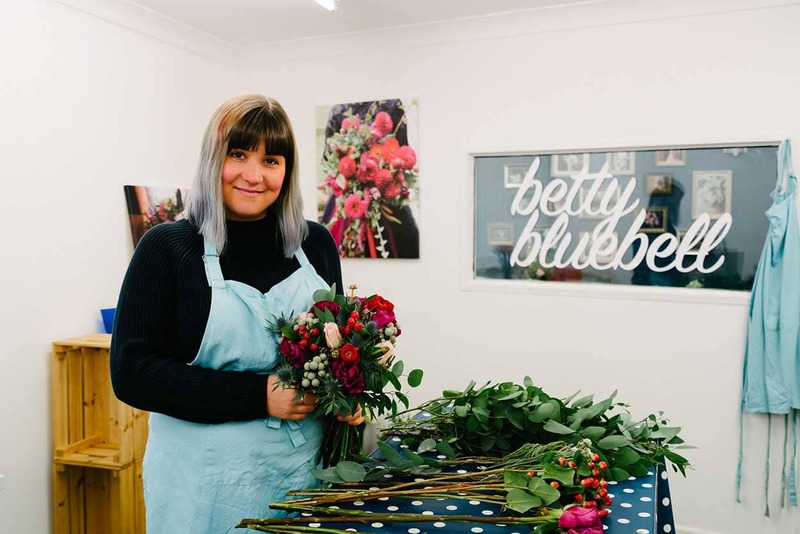 I’m Emma and I run Betty Bluebell, which is a studio based florist specialising in weddings. I’ve been involved in making weddings happen in some capacity for 10 years. I have a background in hospitality and event planning and I still occasionally dip back into front of house management. I have always been artistic and in 2013/2014 I retrained as a florist after falling in love with the creative side of weddings. I grafted really hard to hone my trade, spending a year freelancing with an event design company before going it alone full time. 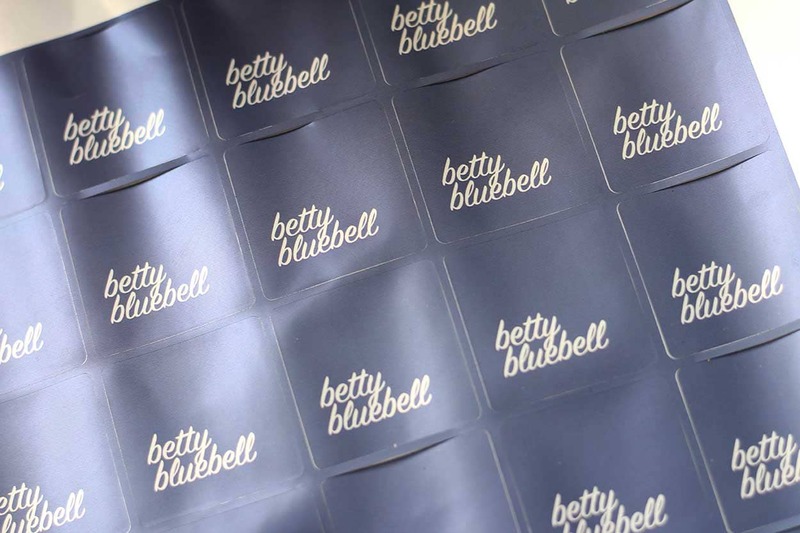 In 3 years there have been over 180 Betty Bluebell weddings, which is mega. I had always toyed with the idea of being self-employed and after being made redundant I started off with the aim of a freelance planning business, thinking of floristry as more of a sideline but the flowers very quickly took over and I was getting a lot more enquiries for flowers than planning services. 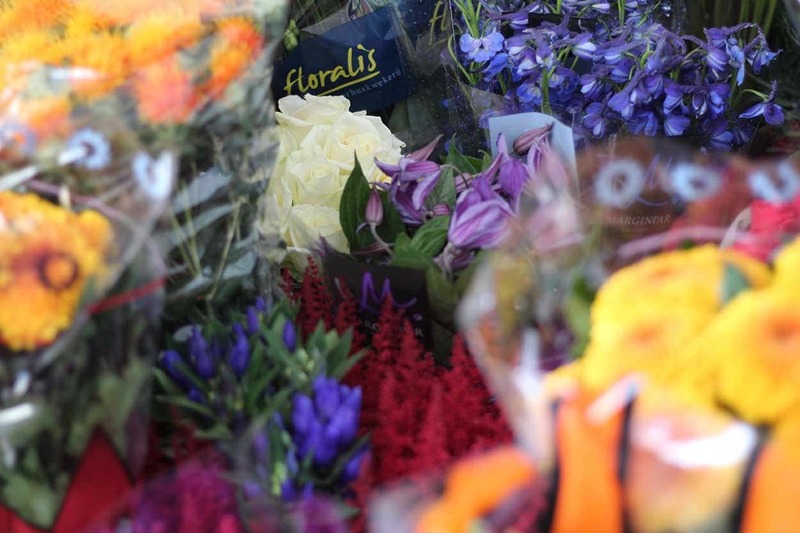 There will always be a market for flowers – harsh but true, as long as people are getting married and dying we will always have a job! Shop florists and studio florists can be a different type of trade – shop florists do a lot more day to day bouquets and funeral contracts whereas studio florists tend to concentrate on designing for weddings and events. I am a jack of all trades but a master of one! I am now fully booked for 2018 with around 80 beautiful weddings so I am planning for the first weddings, meeting with the couples for spring and doing initial consultations for 2019 weddings. Being able to create something that will be a focal point in someone’s wedding photographs forever is kind of crazy. A wonderful kind of honourable crazy. I don’t have any plans to grow the business at the moment, I feel like I’ve got it to the stage I dreamed of and I’d love it to keep ticking over! I have a busy diary, my own workspace, a big white van and I don’t worry about paying my bills. I believe that everything happens for a reason and the journey that brought me to starting my own business gave me loads of background knowledge of the Scottish wedding industry, contacts and experience that would give me a good grounding. If I did anything differently it might not have worked out in the same way! Two days are never the same! In an average week I’ll juggle appointments, admin, wholesale runs, conditioning, making, delivering, set-ups, collections, cleaning, accounts, marketing and social media. At this time of year coffee, thermals and snow boots! If someone wanted to start their own successful business, what three pieces of advice would you give? If you are good at what you do and put yourself out there, there is work to be found. Old fashioned graft, grit and determination will take you far. Know your industry inside out. 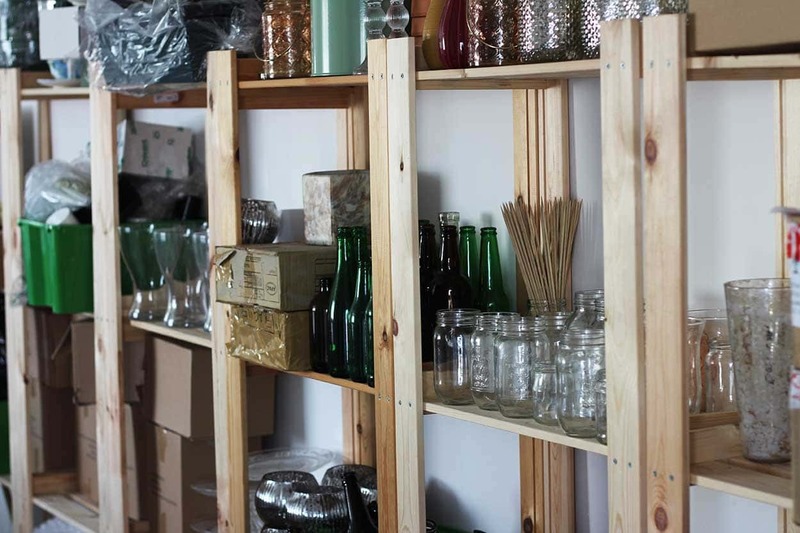 Know your product, your service and what you can bring to the table. When you work on your own, you will need people to call on and your competitors are your friends. Network and get to know other people in your industry. My dog Ted comes to work with me most days. He loves saying hello to any visitors and his toddles around the site at Cambuslang! I love Instagram and following lots of other florists and blogs in the UK, America and Australia. I generally love things that are modern vintage; I love a new take on 60s, 70s and 80s fashion, whether it be clothes, patterns, interiors. I like quirky and a bit off the beat and track – that applies to weddings and clients too! Spend quality time with my husband and pup! We love taking the dog for big walks in the countryside and eating out. What is your philosophy on building a successful business? If you are a small business take pride in being small! It’s bespoke, it’s passionate and most importantly it’s personal. Betty Bluebell operates from our Cambuslang site. 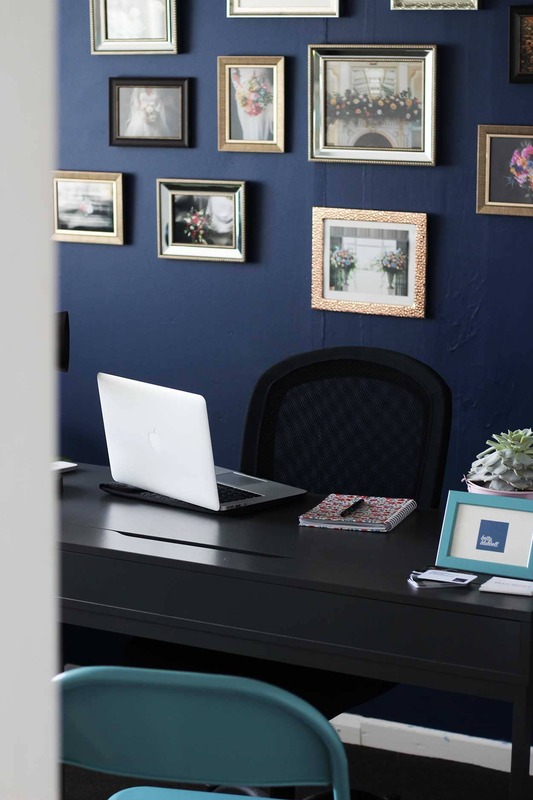 If you have a small business and are interested in our CoVault work spaces, contact us today for a tour.